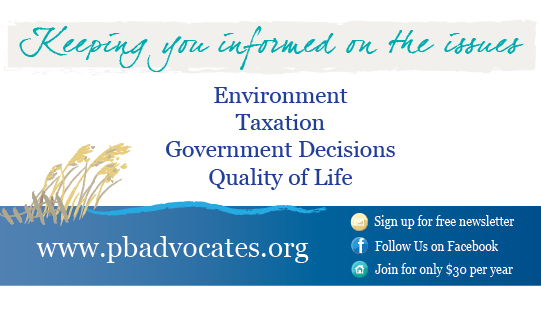 The purpose of Pensacola Beach Advocates, Inc. (PBA) is to educate and inform leaseholders, public officials and other interested parties about matters affecting the controlled development of our community and to protect the public lands of Pensacola Beach for the benefit of its leaseholders and for all the citizens of Escambia County and beyond. PBA acts as a voice for the stakeholders on the Island. Members are kept updated on current issues facing the Beach through the PBA web site, viewpoints presented in the local media, occasional meetings and an e-mail network. While representing the majority view of its members (as determined by periodic polls and meetings), the PBA recognizes that some issues are complex and there are many valid points of view that need to be respected. Why Be a Member of PBA? Membership is open to all residents, leaseholders and those with business interests on the beach and costs only $30 per year. What does "Save Pensacola Beach" really want? 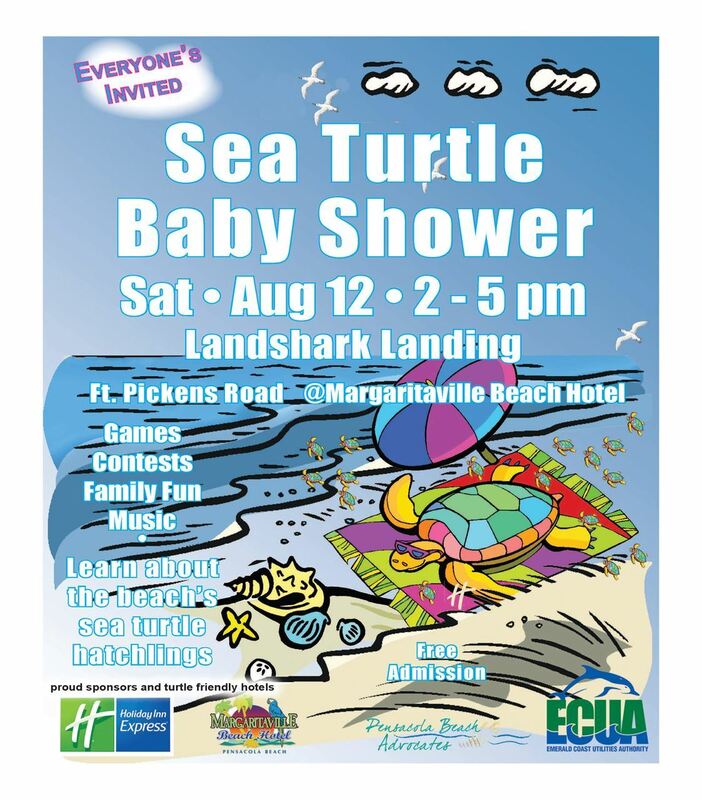 Sea Turtle Baby Shower Celebrates Beach’s Newest Wildlife! 2016 Membership dues are payable now. Your 2015 membership dues expired on 12/31. Anyone who has paid dues since Sept 1st is current for this year. New members can join online on this website - you can pay online or a mail a check after creating your profile. Join Now. If you receive periodic emails from PBA, then you are in our database. Your user id is your email address. To renew or update your membership at this website you have to login and view your profile. Enter your email address in the teal box at the top right of the screen. If you do not know your password, click the Forgot Password link. Enter your email address and the code displayed in the form. You will get a Password reset email. Follow the instructions to reset. Once you have logged in successfully click View Profile link in upper right corner of the screen to update your member/contact information. There is a button in the lower right part of the screen to renew your membership. We accept payments via Paypal. You can use your credit to pay your membership even if you do not have a Paypal account. To pay by check, send a check payable to Pensacola Beach Advocates for $30 to PO Box 1262 Gulf Breeze, FL 32562. New members should include a phone number and email with their checks. We have been receiving many emails from leaseholders on Pensacola Beach who have many questions about fee simple title and the latest twist in the tax lawsuit. Please read previous newsletters and blog postings on the background of lease fees, taxation, tax lawsuits, fee simple title. The Pensacola Beach Advocates organization has been involved in these important issues for years. These issues are complex and there are no simple solutions. We share your concerns and we do our best to keep our members (and non-members) updated on these important issues. If you are concerned and want to support us please join (or renew your membership) PBA and make your annual donation of $30.